I was talking with a prospect a few weeks ago about his (lack of) sales process. He took exception with my comment, saying that they did have a process and that it was defined by their pipeline stages. Let’s start by stating why having a sales process is important in the first place. The only reason you should invest the time, energy and money into developing a defined sales process is to create an environment that enables your organization (and the people in it) to produce repeatable results, and to be able to predictably and consistently improve those results. When I first came into sales and completed my first formal sales training, I was taught how to sell. I learned sales theory, how to control the process, how to ask manipulative informing questions and so on. What I wasn’t taught was how people bought. This is the primary reason, in my opinion, that selling has historically been so adversarial and developed a negative connotation. For decades the discipline was one sided. The friction in the process started coming to a head in the 90s, and the growing power of the Internet caused the whole buyer/seller relationship to flip in the 00s. While it’s obvious, it’s often overlooked; there are two parties involved in a sales process - the selling organization and the buying organization. An effective process aligns with and highlights the actions taken by both parties. If both sides of the process aren’t accounted for, the process won’t stand up to the real world and you won’t be able to utilize it to produce repeatable results or to identify the ways to improve the efficiency, velocity or effectiveness of your efforts. We’ve always been strong believers in a structural approach to growth. The late management guru, Peter Drucker, said it best when he said, “You can’t scale genius.” Instead, the genius must be built into the system. In sales, the system is the process you use. An effective process is the core part of any effective sales playbook. It should serve as a roadmap to success for your sales team, highlighting the key areas and aspects that are important to gaining the desired outcome. When I coach salespeople I often advise them that what isn’t being said is often as important, or more so, than what is being said. The problem, from a training perspective, is that you can’t teach what to do when things aren’t said. Selling, by its very nature, is highly variant and has points of unpredictability to it. An effective process is designed in such a way that provides the context that allows everyone involved in the revenue generation process to see the same thing, interpret in the same way and to drive aligned action. The biggest “new” challenge facing sales organizations today is the increasing de-synchronization they have with prospects. In a Zero Moment of Truth (ZMOT) world, the beginning of the process for a salesperson can be anywhere for the prospect. As a result, the engagement quickly gets out of synch and it’s easier than ever for a salesperson to lose command of the process. This is why it’s crucial that every stage in a process have clear entry and exit criteria. Such criteria brings a reality and discipline to the effort. The milestones you use should address what is known and what actions have been taken on the part of the salesperson and the prospect. 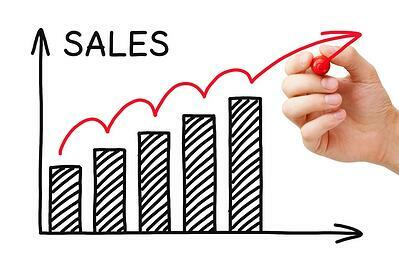 Sales organizations have been trying to find the perfect process for as long as there have been sales organizations. Despite the money and time spent developing and refining, most organizations haven’t made material progress in that effort. As I shared earlier, selling by its nature is highly variant. When the focus of the process is too much on controlling things, the process becomes rigid and quickly fails when used in the real world. I’ve seen some companies that have literally laid out the 26 steps to making a sale. While it makes their CEO and CFO feel good, the sales team (rightfully) ignores the process. For a process to work, it has to have flexibility built into it so account for different situations, needs, styles and circumstances. Which brings us to the second, and more common, reason for failure. To account for the flexibility needed most, processes become philosophies, outlines or (as the case with the example that started this blog) a list of pipeline stages. This fails to meet the threshold of a process, as it provides no valuable insight or direction for those involved. Use the three criteria I shared here to assess your current approach and to guide you towards improvements that will help you make your sales process a contributor to faster sales and greater success.